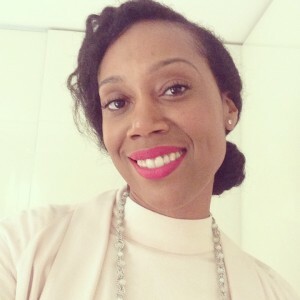 I am Monique Dixon: mum, wife, business woman and a creative. I’m an advocate for change, if only to innovate and evolve. I have embraced change my entire adult life. I did so when graduating from the London College of Fashion to work in New York as a fashion intern at Trace Magazine back in 2003. When I started to write my début novel, Once Bad Intentions. And then again when I entered the advertising and marketing industry to start a career at Bauer Media (previously Emap Advertising) in sales back in 2005. That was when I needed to tend to my natural inclination towards business. Driving innovation as a means to generate revenue was evident in my skill-set then when I launched two new advertising pages for more magazine within months of starting at Bauer Media. I then, having recognised the decline in print circulation and the growth in online, redefined my skill-set to enter the world of digital advertising. Scripps Network Interactive introduced me to the digital landscape. There, I defined innovative campaign solutions for brands like Sainsbury’s and RBS. Brands that I secured as new business and would go on to provide case studies for future campaigns. I embraced change again a few years later when programmatic marketing emerged as the greedy contender for advertising budgets, and started my steep, ad tech learning curve at DataXu. Innovation this time would take its form with me driving the sale of a global company first between DataXu and Sony Entertainment Network through OMD International. I also spearheaded the communication to receive the agency’s testimonial that would bring PR/media recognition to DataXu’s innovative approach to programmatic marketing. I am passionate about my family, programmatic marketing and the marketing automation technology industry, and writing. The rapid growth in technology, the efficiencies and autonomy the digital age provides both businesses and individuals, makes the space that I work in always interesting and highly rewarding. I love to tell stories, if only to feed the curiosity of my imagination and the entertainment of the recipient. I love learning, having a glass of red wine, dining out, travelling abroad and dancing wildly as though I am the only one in the room. In this blog you’ll find insight into programmatic marketing and the digital advertising business landscape, my poetry, think pieces, and information on my book. These are my original works and/or opinions only, and not representative of any company or organisation. Please comment and share posts of interest. If you’d like to stay connected, connect with me on LinkedIn, Twitter and Instagram. Please sign up to learn more about programmatic marketing, or contact me for any other digital business services.